At its February 9-10, 2012 meeting, the Texas Medical Board disciplined 58 physicians and issued two cease and desist orders. On February 10, 2012, the Board entered a Default Order regarding Rosemary Ann Stogre, M.D., revoking her Texas physician license and resolving Formal Complaint No. 503-12-1512 filed against her by the Board at the State Office of Administrative Hearings. The complaint stated that Dr. Stogre continued to prescribe controlled substances after surrendering her DEA and DPS controlled substance prescribing privileges, and that she prescribed controlled substances to a patient without medical need and that patient died as a result of misuse of controlled substances, some of them prescribed by Dr. Stogre. Because Dr. Stogre did not respond in any form to the Formal Complaint, the allegations are deemed true. On February 10, 2012, the Board and Jule Tom Connolly, M.D., entered into an Agreed Order of Voluntary Surrender in which Dr. Connolly agreed to immediately cease practice in Texas and voluntarily surrender his license in lieu of further disciplinary proceedings. The Board found Dr. Connolly non-therapeutically prescribed drugs and engaged in unprofessional conduct likely to injure the public. On February 10, 2012, the Board and Robert J. Genovese, M.D., entered into an Agreed Order of Voluntary Surrender in which Dr. Genovese agreed to immediately cease practice in Texas and voluntarily surrender his license in lieu of further disciplinary proceedings. The Board found Dr. Genovese failed to treat a patient according to the generally accepted standard of care. On February 10, 2012, the Board and Michael Heistand, M.D., entered into an Agreed Order of Voluntary Surrender in which Dr. Heistand agreed to immediately cease practice in Texas and voluntarily surrender his license in lieu of further disciplinary proceedings. The Board found Dr. Heistand failed to use proper diligence in his professional practice. On February 10, 2012, the Board and Sybil Rochelle Reddick, M.D., entered into an Agreed Order of Voluntary Surrender requiring Dr. Reddick to immediately cease practice in Texas and permanently surrender her license. The basis for action was the Board’s investigation into Dr. Reddick’s nontherapeutic prescribing for one patient and Dr. Reddick’s desire to surrender her license in lieu of further disciplinary proceedings. On February 10, 2012, the Board and Sharon Melissa Taliaferro, M.D., entered into an Agreed Voluntary Surrender Order in which Dr. Taliaferro surrendered her Texas medical license in lieu of further disciplinary proceedings. Dr. Taliaferro, who is also licensed in Arkansas, entered into an order with the Arkansas State Medical Board agreeing to cease and desist from administering dimethyl sulfoxide intravenously to patients and refrain from doing so until such treatment is approved by the Food and Drug Administration. On February 10, 2012, the Board and Annie Jia Tang, M.D., entered into an Agreed Voluntary Surrender Order in which Dr. Tang voluntarily surrendered her physician-in-training permit due to her desire to leave Texas. The Board found that Dr. Tang’s residency program chose not to renew her residency contract due to Dr. Tang’s medical condition. Dr. Tang’s physician found her competent to practice medicine, but Dr. Tang chose not to appeal the residency program’s decision. There were no allegations of malpractice or misconduct by Dr. Tang. Read more here and visit our website for further information. As a Dallas Medical License Defense Attorney, I am providing this article regarding a Houston Pain Pill Mill Doctor being busted again. It looks like this guy and his cronies did not learn their lesson. This is a quick fire way to lose your medical and pharmacy licenses. A physician and two pharmacists arrested in a Houston high-volume pill mill operation, had previously faced disciplinary probes for distributing controlled drugs, and all three had been allowed to continue to work despite those allegations, according to professional disciplinary records. For two years Dr. Gerald Ratinov, the state’s top prescriber of the pain killer drug hydrocodone, has been under investigation by the Texas Medical Board (TMB) for operating another Harris County pill mill. At that site, an unlicensed foreign medical graduate dispensed drugs and patients received pain pills without proper examinations in 2008. During the TMB disciplinary action, Ratinov, a 76-year-old neurologist, opened the Astrodome Health Clinic in September 2010 — another site described as a pill mill, according to the Drug Enforcement Administration. And at that clinic and two other sites, he supervised unlicensed foreign medical school graduates and others who illegally supplied pills. 20 people face charges resulting from this week’s pill mill sting, which involved three clinics and four pharmacies. The DEA, the Department of Public Safety, the medical and pharmacy boards and other agencies participated. Two pharmacists arrested this week already had been on probation with the state Board of Pharmacy for previous prescription problems, according to Pharmacy Board records. As a Fort Worth Medical Malpractice attorney, I am providing the jury verdict and a win for the good guys. Jurors awarded $10.1 million in damages to the family of an overdose victim, hoping the verdict strikes fear into other “pill mills” that have turned Houston into a national center for prescription drug abuse. “Our verdict shows how much our community is against these pill mills and wants things to change,” said juror Lauren Simmons, after finding gross negligence led to the overdose death of Michael Skorpenske of Conroe. As a Fort Worth Texas Medical License Defense Attorney I am writing to update the following actions by the Texas Medical Board. The Texas Medical Board met October 28-29, 2010. Since its August 26-27 board meeting, the Texas Medical Board has taken disciplinary action against 77 licensed physicians. The actions included 11 violations based on quality of care; 9 violations based on unprofessional conduct; 4 based on other states’ action; 1 based on peer review actions; 1 based on criminal convictions; 8 voluntary surrenders; 1 suspension; 3 revocations; 10 based on inadequate medical records; 1 based on inadequate supervision; 18 corrective orders; 1 cease and desist order; and 10 orders for minor statutory violations. If you have been subjected to a TMB Inquiry Letter or TMB Disciplinary Process, then please contact the Fort Worth Texas Medical License Defense Attorney Dr. Shezad Malik. For a no obligation, free case analysis, please call 888-210-9693 or Contact Me Online. Having worked in both academic teaching hospitals and private hospitals through out the United States, Dr. Malik understands, perhaps better than most, the hard work and effort it takes to achieve the medical license and then to maintain it. Dr. Shezad Malik Law Firm concentrates in the representation of physicians and medical professionals in all matters relating to their professional license defense. 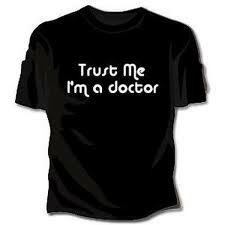 We provide Medical License Defense for all types of medical practitioners. We represent and counsel health care provider clients in licensure and medical staff privilege matters. We handle matters on behalf of physicians, dentists, pharmacists, podiatrists, chiropractors, nurses and other licensed health care providers in Texas and other states. For a health care provider there can be serious consequences of State licensing actions or hospital adverse actions including criminal actions, actions by other states or hospitals, negative reports to state and national data banks and to third party payors. As a Fort Worth Medical Licensing and Doctor defense attorney I have written about the Grapevine Texas Gynecologists who were implanting Canadian bought FDA unapproved IUDs. Now they are being sued by the Texas Attorney General on violation of the Texas Deceptive Trade Practices Act and Fraud. Similar cases have been brought in other jurisdictions, and what happened to those physicians is particularly instructive. Ob/gyn Kelly Dean Shrum, DO, in Pine Bluff, Arkansas was investigated— In June 2009, FDA agents found unapproved Mirena IUDs in Dr. Shrum’s office — a discovery that triggered criminal and civil charges. On October 2009, a federal grand jury indicted Dr. Shrum with drug misbranding, healthcare fraud (for billing the state Medicaid program for unapproved IUDs), and 3 counts of money laundering (for depositing money from an allegedly illegal activity in his bank account). Dr. Shrum faced a maximum penalty of 3 years in prison and a $10,000 fine for misbranding, and a maximum of 10 years in prison and a $250,000 fine for healthcare fraud and for each count of money laundering, according to federal prosecutors. In addition, former patients have filed a class-action suit against Dr. Shrum in a state court. They allege that by implanting unapproved IUDs in them without their consent, Dr. Shrum is at fault for medical negligence, unjust enrichment, violation of the state’s law against deceptive trade practices, and breach of fiduciary duty. If convicted he would lose his medical license.